Danube Group, the UAE’s biggest building materials supplier, says its property unit has broken ground on two major projects, Dreamz and Glitz by Danube in Dubai, UAE. 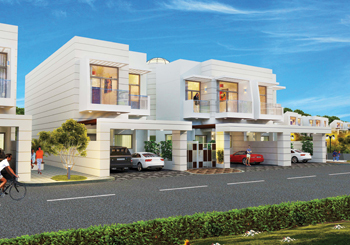 The launch of these projects marks the entry of the group into the real estate industry. Dreamz by Danube is a Dh500-million ($136 million) project comprising 171 luxury townhouses located in the lush, green and well-landscaped neighbourhood of Al Furjan community over an area of 700,000 sq ft. The three- and four-bedroom townhouses will have built-up areas ranging between 2,500 and 3,000 sq ft. The contractor on the project is United Engineering Construction Company (Unec). The project has been designed by Edmac Engineering Consultant. The modern villas feature contemporary designs and quality finishes including Italian marble, parquet flooring, luxury sanitary ware, designer faucets by Milano, fully-fitted modular kitchens, and landscaped gardens with gazebos. The Dreamz project received an overwhelming response from investors and it was sold out on the first day of sale. Following its success, the group launched its next big project – the Dh300-million ($81.6 million) Glitz by Danube – at Dubai Studio City early this year. The cluster of apartment buildings will redefine urban lifestyles with 300 luxury apartment units available in a mix of studio, one-, two- and three-bedroom apartments close to the proposed Village Centre, says Danube Properties. “We are delighted to officially start construction on our first two realty ventures for the division. Both our projects are currently on track as per our initial plan,” states Rizwan Sajan, the founder and chairman of Danube Group. Durise, a property crowdfunding company, has launched its services online to real estate investors with the offering of property in Old Town Island, one of the UAE emirate’s prestigious properties located in Downtown Dubai. Developed by the reputable Emaar Properties, this property is one of the highly sought-after and valued properties in the region for real estate investors, says the company. Investors can own a part of this offering starting from $5,000 by means of crowdfunding, it adds. The concept behind real estate crowdfunding investment involves a group of investors raising a sum of money to buy a specific property. Then a third party, such as Durise, manages the property funded on behalf of the crowd. This gives real estate investors the chance to diversify their portfolios and reduce their risks by sharing them with other investors. Unlike REIT (Real Estate Investment Trust), crowdfunding investors will put their capital into tangible properties and know where their money is actually going. The crowdfunding industry has grown to be over $5.1 billion worldwide in 2013 and expected to double annually, according to the company. Investors can gain online worldwide access to exclusive real estate deals with great ease and organisation by signing up on durise.com, where they will get a timeline, expected returns, legal documents and detailed studies, says Durise. Durise adds it will refund investors their capital in its entirety in the event the crowd does not raise the total funds for the property of their choice. Leading luxury real estate developer Damac Properties has awarded five major construction contracts worth Dh1.2 billion ($326.6 million) in Dubai this year, thus signifying its firm belief in the UAE emirate’s real estate market. All of these contracts were awarded in January, says Damac. These include the appointment of five contractors for additional work on Damac’s two luxury master developments, Akoya by Damac and Akoya Oxygen, in addition to main works packages on three of its serviced hotel apartment’s projects, Privé by Damac, Celestia and Vantage, it adds. Damac Properties has awarded UAE-based contracting firm Ghantoot the construction contract for the first 981 villas at its new 55-million-sq-ft master development, Akoya Oxygen, while Seidco General Contracting Company, also of the UAE, has won the main contract to build Privé by Damac, a two-tower serviced hotel apartments project overlooking the canal in the Business Bay area of Dubai. Seidco has also been awarded the construction of the iconic clubhouse which will serve the Trump International Golf Club, Dubai at the heart of Akoya by Damac. Civilco will be the main contractor of Celestia, a luxury hotel apartments development at the heart of Expo 2020, and Reem Capital will build Damac Properties’ luxury hotel apartments project, Vantage, in Jumeirah Village. “We have a strong belief in Dubai’s fundamentals and by making such a high level of investment in these construction contracts, we are demonstrating our commitment to owners to deliver high quality living experiences in good time,” states McLoughlin.